Japanese conglomerate SoftBank Group Corp is said to have offered to invest up to $1 billion more in Indian taxi-hailing giant Ola, operated by ANI Technologies Ltd.
Ola may use the fund to boost its food delivery business and invest in areas such as e-pharmacy. Ola is reportedly close to finalising an investment in the pharmacy sector. 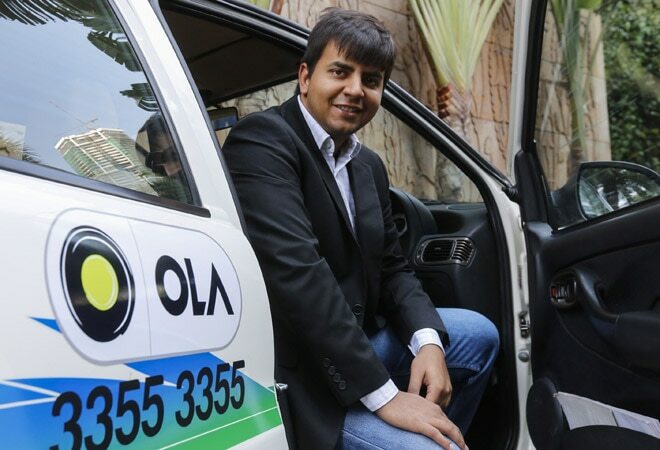 According to a report in The Economic Times quoting sources, It is however, unclear whether Ola’s cofounder Bhavish Aggarwal will accept additional capital from SoftBank and allow the investor to raise its shareholding from about 26 percent at present. However, he may prefer a smaller amount to avoid giving more stake to the Japanese investor. Masayoshi Son and Aggarwal have met several times recently but accepting such a huge amount from SoftBank comes with a great risk which Ola wants to avoid, said one of the people familiar with the development. While the offer from SoftBank is being considered, Ola may raise capital from other investors for the new round of funding. “The possibility of giving SoftBank another 10-15 percent stake would be the reason why Aggarwal may not accept the offer in its current form,” one person added. “It may eventually be a smaller infusion if at all SoftBank puts in fresh cash. They (Ola) may also look to get a new investor on board,” said the person who is aware of the ongoing talks. Earlier, Aggarwal had refused a $1 billion offer from SoftBank in 2016 to not cede control to the Japanese group. Ola has so far raised over $2.5 billion since it began operations in 2011.